With her relationship with writer Jack Treholm as shaky as the foundation of her family home, Melanie’s juggling a number of problems. 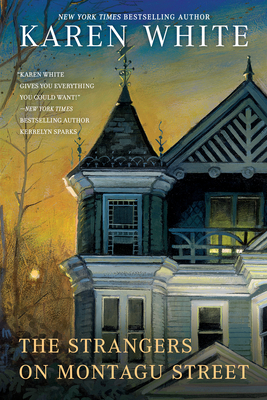 Like restoring her Tradd Street house...and resisting her mother’s pressure to ‘go public’ with her talent—a sixth sense that unites them to the lost souls of the dead. But Melanie never anticipated her new problem. Her name is Nola, Jack’s estranged young daughter who appears on their doorstep, damaged, lonely and defiantly immune to her father’s attempts to reconnect. Melanie understands the emotional chasm all too well. As a special, bonding gift Jack’s mother buys Nola an antique dollhouse—a precious tableaux of a perfect Victorian family. Melanie hopes the gift will help thaw Nola’s reserve and draw her into the family she’s never known.